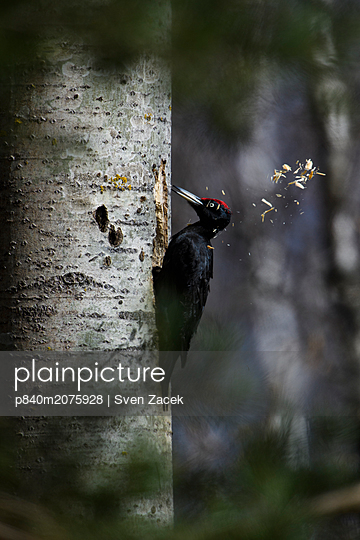 p840m2075928 - RS - Black woodpecker (Dryocopus martius) excavating nest in tree trunk, Valga County, Estonia. April. Highly commended in the Portfolio category of the Terre Sauvage Nature Images Awards 2017.